I am comparing Russian and Southern food and cooking. They are two completely different styles of food and cooking, but I chose to compare them for a few reasons. The main reasons I chose to compare the two is because my stepmom is Russian and she grew up in Russia and moved to the United States when she started college, another reason is because other cultures and ways of living interest me. I grew up in southern Kentucky and grew up eating stereotypical southern food like fried chicken, deviled eggs, corn bread, grits,and pulled pork. Southern food is more fried foods and unhealthy foods. Most people in the south drink sweet iced tea or “coke” (we consider any soft drink “coke”). This is a picture of fried chicken, mashed potatoes and gravy, macaroni and cheese, creamed corn, and roasted chicken. This picture shows the most traditional southern foods. When I think of southern cooking i think of my Granny. She tries to get all my aunts and uncles to go to her house for a meal just with my family every other weekend or atleast once a month. She usually makes typical southern food like turkey or ham, macaroni and cheese, mashed potatoes, green bean, and cornbread or rolls. I chose to compare southern food to Russian foods because my stepmom is actually from Russia, so when i go to my dads we don’t have like actual traditional food but we usually have american food with a Russian twist, although sometimes she will make traditional Russian food. My favorite food she makes is called Blini, it is basically pancakes but they are really thin and a little spongy. Blini reminds me of crepes but we always eat it for breakfast if she makes it, so it makes more sense to compare it to pancakes. We always dip them in syrup and eat them, personally I like to spread Nutella on mine and put sliced bananas inside and fold it in half to eat it. It is traditionally eaten with jams or jelly for a sweet blini, they also traditionally wrapped smoked salmon, caviar, or other fish in it for a more savory blini. The picture on the left is a picture of blini. The pictures on the right is Borsch. In the South for Christmas its traditional for “Santa” to bring the “good children” presents for behaving that year on the night before Christmas, December 24. In my family my mom gives each of my sisters an early Christmas present, its always matching or at least color coordinating pajamas, and she makes hot chocolate and we watch The Polar Express. Then Christmas morning everyone wakes up early and we open our presents together as a family. After we open our presents and eat breakfast, we start preparing for my Granny’s Christmas get together. We do any last minute present wrapping and make last minute foods, then we load up the car and head to my Granny’s house. Then we give each other presents and have a very big meal. We usually have turkey, ham, stuffing, mashed potatoes, gravy, macaroni and cheese, green beans, cornbread, rolls, sweet potatoes with marshmallows on top, and creamed corn. That is just the main course, for dessert we usually have options of chocolate chip cookies, the frozen Pillsbury Christmas tree and snowman cookies, chocolate pie, pecan pie, homemade mints, and a vanilla cake with caramel icing. Christmas in Russia is quiet a bit different than in the US. In the Soviet Union, Christmas was actually banned in 1929 until 1991. Instead of celebrating Christmas, they have a big new years celebration. Also their “Santa” comes on the day before new years, his name is “Grandfather Frost” (known in Russian as ‘Ded Moroz’ or Дед Мороз). Grandfather Frost is always accompanied by his granddaughter, Snegurochka. This is Grandfather Frost and Snegurochka. Christmas is usually celebrated on January 7th because the Russian Orthodox Church uses the old ‘Julian’ calendar for religious celebration days. Christmas is basically solely a religious holiday in Russia. Some people fast on Christmas Eve until the first star in the sky, then they eat Kutia, which is a porridge made from wheat or rice. Sometimes Kutia is eaten from one communal bowl to symbolize unity. 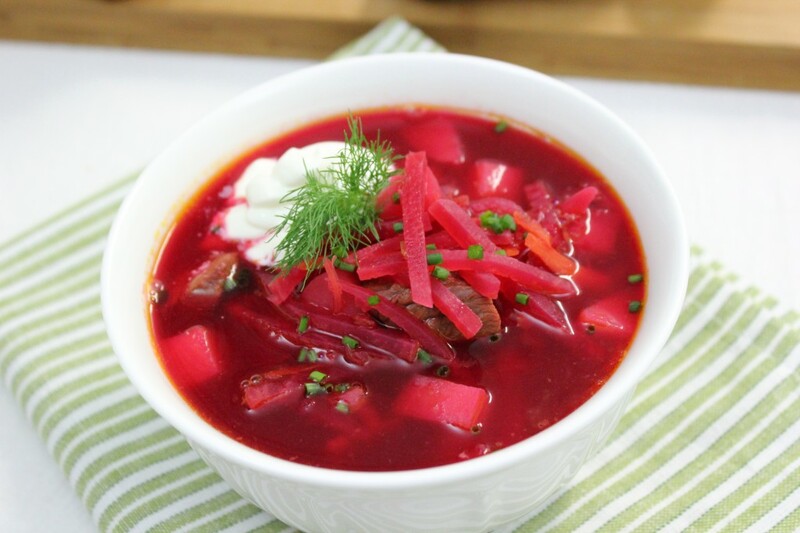 After the first star is shown in the sky they eat a large meal that consists of Borsch (beetroot soup) or Solyanka (vegan potlock), individual vegetable pies (often made with cabbage, potato, or mushrooms), sauerkraut, or salads. The Christmas Eve meal usually has 12 dishes to represent the 12 disciples of Jesus. The main meal on Christmas day is more of a feast, with food like roasted pork and goose, Pirog and Pelmeni (meat dumplings). Desserts often include fruit pies, gingerbread and honeybread cookies (called Pryaniki). In my experience and research, I think Russian food in healthier compared to Southern food. Although Russian food is usually fairly salty, I still think Russian foods cause less health issues and are better for you to eat than Southern food. In southern cooking, we usually get our food out of a box or bag and it has been processed, in Russian cooking they make most of their food from scratch. For example, the first time my dad went to Russia with my stepmom to visit her family, he said they made made a meal and the whole family came over to my stepmoms mothers house to eat and meet my dad. They made noodles from scratch and my stepmoms uncle even went out and killed a goat for their meal, he tried to get my dad to help him and her uncle didn’t understand how that was unusual thing for us and got kind of upset about it for a while. In Russia they also drink hot drinks, ice cubes aren’t really a thing there. I remember the first time i went to Jane’s house, she made me and my little sister green tea (it was the only type of tea she had because that is what she drank in Russia) and made it in a kettle with individual tea bags. Since the water had been boiling, our tea was still too hot to drink after a while so my sister asked if we could have ice cubes and she said she didn’t have any. My dad always jokes around about things like that so she thought Jane was joking too but then Jane explained that they didn’t have ice cubes that she knows of in Russia and if someone did have some it was uncommon. Jane told me the only reason that she could think of why they don’t have them, at least in the part she is from, was because most of the year it is really cold. All of her family has a really heavy winter coat and a lighter summer coat. All of these differences show how where you live and grew up shapes you. For example, my stepmom doesn’t see why we give presents at Christmas but she knows that is our culture and so she respects it and we exchange presents, and sometimes she will do things that are weird to us like just make hot green tea and have it with most meals. Another example, when we went to Florida this summer, we were like an hour a way from Miami, she had been before and knew there was a diner place that served Russian food. Since we were so close to it, we went to go eat there and it was such a culture shock for me, everyone was speaking Russian and everything was written in Russian. It made me feel very out of place, although they could speak English they weren’t speaking English because everyone but me and my sister could under him.